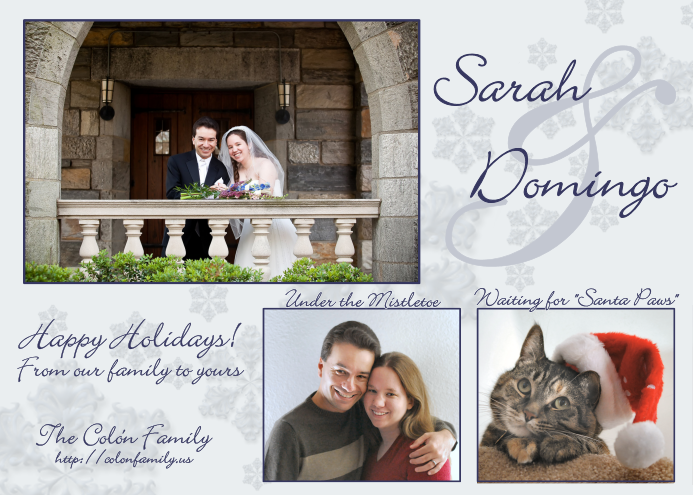 Designing cards has become a favorite holiday activity for Sarah. She loves to tinker with all things creative (as you could probably guess by her website, or photography hobbies.) Sarah finished the 2009 card by November 2009 and the 2010 card by October 2010. At this rate she'll have a few years worth of cards stored up in no time. Our 2010 card was our first card as a married couple.